Provide us with your photoshop, jpeg or image file of any format and own a beautiful Joomla website with the exact design you provided. If you are not satisfied with the design, then we assure you money back guarantee. Read More.. 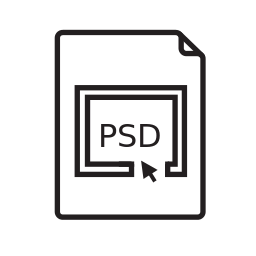 Eager to develop a template from scratch but worried since you don't have a PSD or HTML website? Relax! Simply share your ideas with us or send us some websites that inspire you and our highly proficient team will be glad to develop a supreme quality Joomla template for you. In addition, we also provide template customization services. Read More..
Want to own a responsive website and not getting the desired source? Ease off! Our professionals design superior quality Joomla websites that automatically fits to any screen size ranging from desktop, tablets or mobile. Such websites known as Responsive Websites are a recent favorite these days and they implement responsive designs for their smooth functioning. Read More.. Looking forward to convert your HTML website into a functional Joomla website? You have landed at the right place! Just provide us with your HTML website or the website address and we will redesign your website and send you the Joomla version exactly matching your HTML website. Read More..